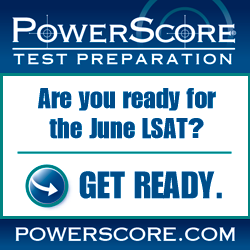 Changing LSAT Answers: Should You Do It? Conventional wisdom says to keep your first answer choice, but is that the best advice? No. Learn the pros and cons of LSAT tutoring. When should you use an LSAT tutor, and what can they do for you? Which type of LSAT tutoring is better for you: in-person or online? How are the two LSAT tutoring types similar and different? Can the LSAT be used in place of the GRE when applying to grad school? Yes, in some cases it is an acceptable substitute. Older LSAT Scores–How Are They Reported? How can you obtain older LSAT scores, and what are the LSAT score reporting policies for old LSAT scores? Should you avoid older LSATs? No, and here’s a detailed explanation as to why older LSATs can and will help your studies. The word “only” is used frequently in LSAT questions.